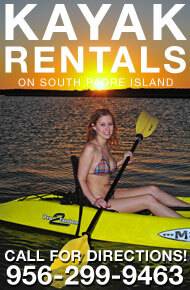 South Padre Island is a very easy island to get around. Partly because it is a small town, and also because South Padre Island has very good local transportation services, that can really save you money. 'Island Metro' is the local shuttle transportation that runs the length of the island, as well as travels into Port Isabel. 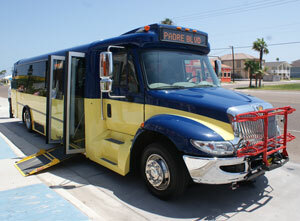 There are three SPI Metro shuttles that run along South Padre. Shuttles #1 and #2 make stops along the entire length of the island, as well as go to and from Port Isabel. Shuttle #3 is "Island Only" and never leaves the island. If you are looking to go across the bridge to check out Port Isabel, go to Walmart, or other things, then jump on Shuttles #1 and #2, but if you have no intentions on leaving South Padre Island while on vacation, then just stick to Shuttle #3. If you need to go further off of the island past Port Isabel, then the Vally Metro Shuttle is your ticket. 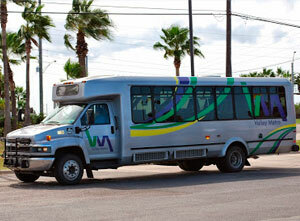 The Vally Metro travels the Rio Grande Valley for inexpensive rates. It meets up with the SPI Metro in Port Isabel, where you can travel from South Padre Island into Brownsville for two dollars. If you are arriving in the Brownsville airport, you can jump on the Vally Metro, and for two dollars, get to Port Isabel, where you can transfer onto the free SPI Metro and get to any specific location on South Padre Island, Texas! Since January 4th, tourists visiting South Padre Island arriving through the Harlingen Valley International Airport (VIA) are able to by-pass car rentals and expensive taxi services, and choose the "South Padre Shuttle" for a fast way to the island. Visit www.southpadreshuttle.com to make reservations in advance to catch a ride on one of the three shuttles to the island. You can also call 1-877-744-0050 to speak to a travel agent to make reservations 24 hour a day, seven days a week. Tourists to the Island of South Padre will feel like rock stars as the make their way to the island in up-to-date, air-conditioned shuttles. Door-to-door service from Harlingen Valley International Airport to your personal condo or hotel room. The shuttles seat 24 passengers, with full reclining seats, as well as full windows of the sights as passengers travel the 50 minute drive to the island. Video screens also accompany the ride to the island, to keep you entertained the entire trip! Each shuttle is fully ADA compliant with easy-access wheelchair lifts and over head bins and racks to store luggage during transportation. Modern GPS technology provides instant information on the location of the shuttles. It is also tied to the reservation system which can text passengers leaving the island when the shuttles are thirty minutes away so they can plan accordingly. The South Padre Island Shuttle fares are just $25 one-way, or $45 round trip, and passengers can pre-book reservations or decide at the airport to take the shuttle. Pre-paid reservations guarantee a seat on the shuttle, however walk-ups are always welcomed. The South Padre Island Shuttle reservation counter is located right at the baggage claim area. The shuttle system operated by LogistiCorp, a Dallas-based transportation company, and accepts credit card or cash at the reservation counter or even directly on the shuttles themselves.